I'm not sure I quite follow what you are trying to accomplish; can you clarify - Do you mean changes to the SP itself? If so, a DDL trigger may be more appropriate - to do something when an ALTER PROC statement is issued? http://technet.microsoft.com/en-us/library/ms186406(v=sql.105).aspx Something similar was discussed at http://stackoverflow.com/questions/1521598/how-to-get-procedure-text-before-alter-from-ddl-trigger Or do you mean to identify what *data* the SP changed (Updates/inserts/deletes)? i need to capture stored procedure changes done by any user.The stored procedure is also encrypted in this case. Do you need to see what was altered (old vs new procedure text), or simply that the proc was altered in some way? Personally, I wouldn't use triggers for this. Instead, I'd use extended events. You have events for object_altered, objected_created, objected_deleted. You can capture every modification to the object as it occurs. 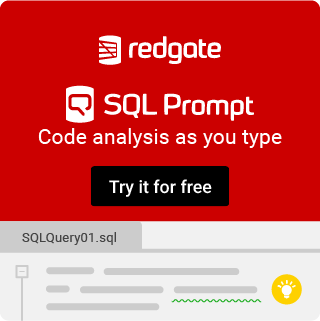 If you need to, you can add the global event for sql_text. I'm pretty sure in this case that will capture the new code (although not for encrypted procs). Plus, with extended events you get very good, low level filtering, you can send information to files or to the ring buffer where you do other things based on the events fired. thanks for the quick response. Will Triggers work for encrypted Sps? Define work. If you mean will it let you look at the code? No. But encrypted procs are very easily unlocked. Do a search on the web. It's not a real encryption like what they do with data.